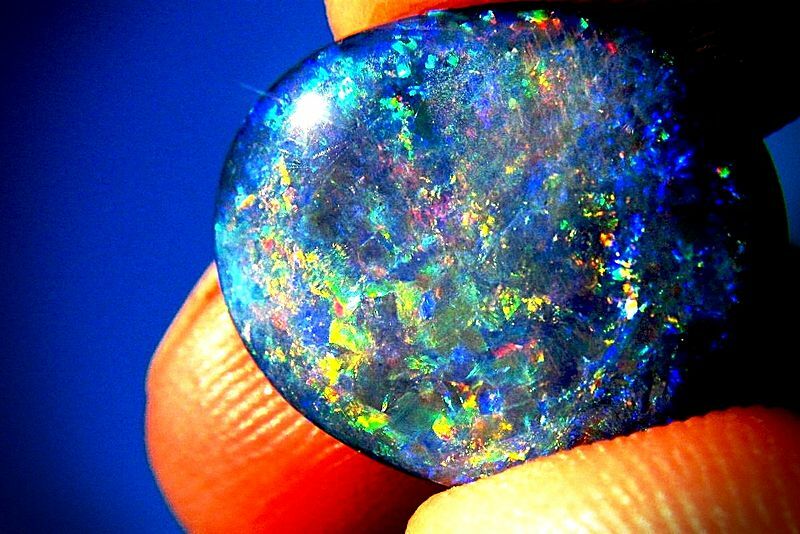 I came across this gorgeous Ethiopian Welo Opal today, that looks like the bottom of the ocean! It’s amazing isn’t it? It almost looks like the bottom of a coral reef! You can almost picture little fish floating around inside of it. How does the opal gemstone get it’s clarity, color and brilliance? I’ve always been fascinated with opals and all the colors that come from them. My mother gave me an opal pendant when I was a kid, that had several floating opals in liquid. Everywhere I wore it, people were asking me about it. The colors would bounce around when light would hit it just right. Much like this one shown to the left here. When I saw this Opal above, it made me think about the colors in the gemstones. Where do most of the world’s Opals come from? – Majority of the opals in the world have come from Australia, 97% of world’s supply. There are several different variations of opals, from milky white, resin opal, wood opal, Muller’s Glass, and others. Check out this amazing Fire Opal below. The value of the Opal, depends on the fire color, patten, brightness, directionality, base and size. The majority of Fire Opals come from Mexico. 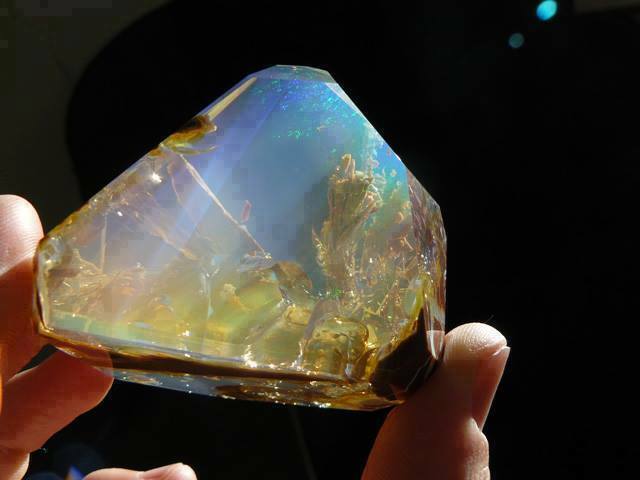 The brightness of the fire in an opal is ranged from 1-5, 5 being the brightest. See some of our Opal Collection online, and in our stores. Find out more about Opals here. This entry was posted in Jewelry and tagged Jewelry, jewelry warehouse, opal jewelry, opals. Bookmark the permalink.